A company is a virtual representation of your company within Pipefy. It encompasses all of your company's processes and team members. A process means a series of sequential steps used by a person or a team to get to a desired result. 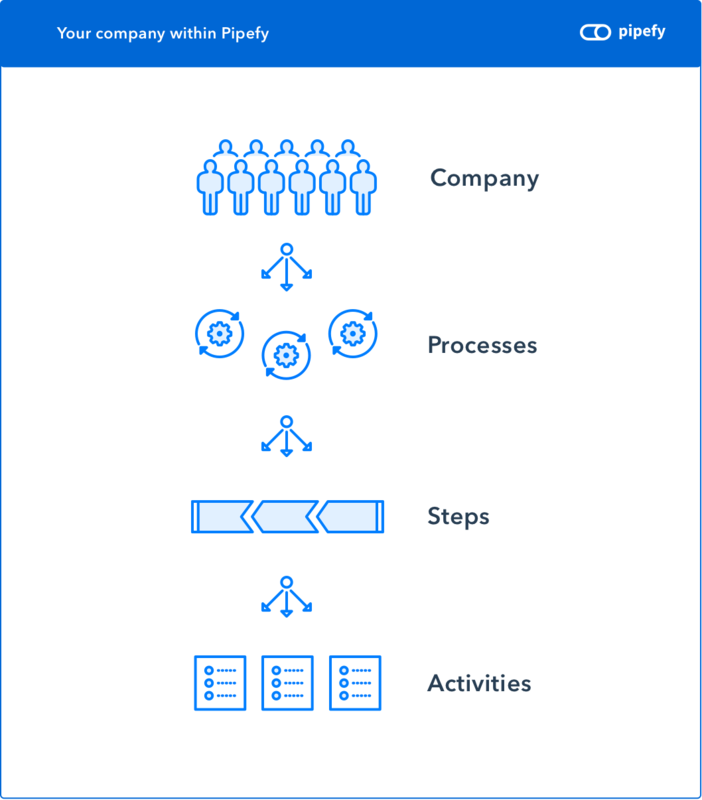 In Pipefy, a process is represented by a pipe. Each process consists of a series of sequential steps. In Pipefy, steps are represented by phases. You can add as much phases as you need. Within each phase, you can also set the rules (fields) who will ensure standardized patterns of execution. What flows through your process are activities - represented by cards. Activities are unique and all contain different information based on the fields you specified in each step. So, the information requested in each phase is the same, the information inserted on each card is unique.